The area north of Madison Square Park, aka NoMad, has become one of the more interesting areas of Manhattan. Formerly a commercial neighborhood filled with historic buildings, the change began first when the ACE Hotel moved in, followed by the NoMad Hotel, followed by coffee shops, cocktails bars and restaurants. The top end borders on 30th Street and the bottom hits 23rd at the Flatiron Building. Here is our pro-recommended 24-hour guide to exploring this hot micro-hood. Located in the lobby of the ACE Hotel, you'll find this Portland outpost featuring house-roasted, direct-trade coffee and sharply dresses baristas wearing newsboy caps. They also sell whole beans and brewing gear. "Going to Stumptown espresso bar at the Ace Hotel is like going to visit the Uffizi in Florence. You’re sure to wait a while, but you’re guaranteed to get a work of art." "I usually grab a cappuccino at Stumptown's storefront which is part of the Ace Hotel." "I like it because it is not an overpowering roast. I find it perfect, it is not too strong, not too weak, it is a good workhorse and a great every day coffee. It taste like coffee should. This English-style gastropub by chef April Bloomfield, of Spotted Pig fame, serves great dinners and lunches, but they are also known for the full English breakfast. Try a hearty plate of fried eggs, pork sausage, bacon, blood pudding, tomato and mushrooms to jump start your day. If you prefer a lighter meal, they also serve yogurts and cereals. "I’m a big fan of chef April Bloomfield. The Breslin is contemporary, American / British, gastro-pubbery. Her stuffed trotter gets me going. Stellar, simple food, but so well executed." "I like their style of food and think what April Bloomfied does is a very similar way of thinking to me. She is all about ingredients, good amounts of acid, big flavors, simple preparations. Roasted meats, big, big chunks of roasted vegetables, things like that. No fancy knife cuts, a good rustic look." Hidden away on the fifth floor is one of the top places to find the best barware items in the country. It is one of the most respected collections in the world, selling everything from Japanese mixing glasses to artisan bitters, unique syrups and rare cocktail books. "There isn’t really that much that those guys don’t really nail -- from the books to the bar equipment." "It is a temple to all things cocktail, including tools and possibly the largest library of cocktail books." "I know of no greater resource for bar supplies and books in the world. "Equipment-wise, this is one of my favorite shops. "They have the best supplies and the best equipment. Owner Diane Petipas has been collecting 20th century design for 30 years. 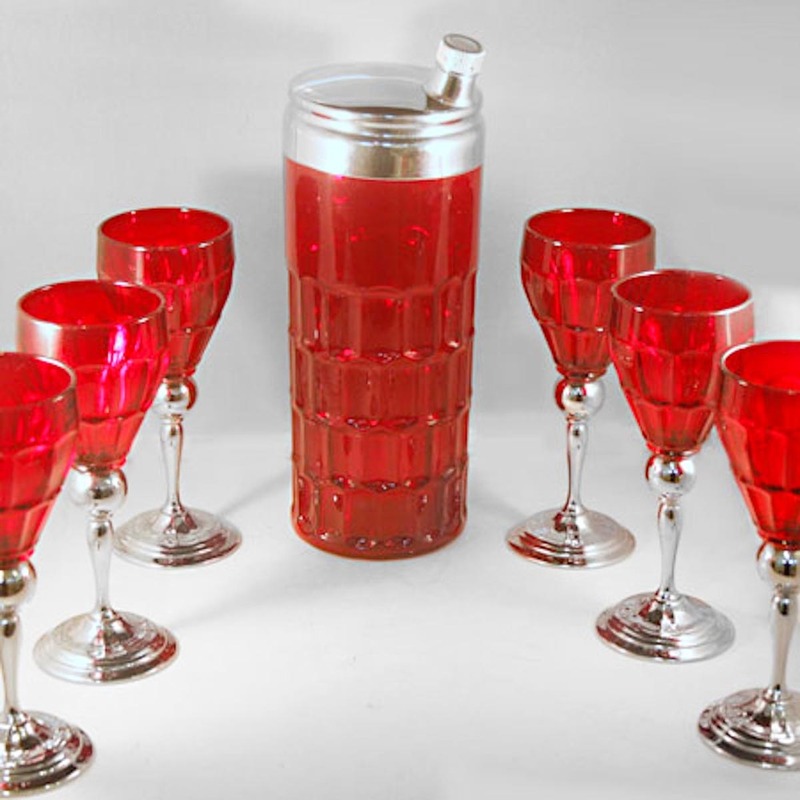 She sells vintage barware and tableware from name designers like Eva Zeisel and Russel Wright. "Unbelievable stuff, everything from old highball glasses to bar spoons, a huge amount of shakers and glassware, and old stuff from the Stork Club." Endless array of spices | Photo Credit: Find. Eat. Drink. You'll travel the world just walking around the aisles in this the ever-expanding shrine to spices. Grains, honeys, extracts, and seasonings galore. Check out the freezers in the back for prepared dosas, samosas, and other Indian appetizers. "It's a go-to market on Lexington in the '20s. It's a chef-favorite for spices." "I like this place a lot. Just because I’ve never been to a place where you can literally get like 15 varieties of black pepper." "This is the most amazing spice shop in New York City. " Inventive sandwiches served on bread baked daily at Caputo Bakery in Brooklyn. "Great take on sandwiches. I adore the Zucchini Parm, any sandwich with BBQ potato chips smooshed in is all right by me!" Num Pang means bread or a sandwich in Cambodian. The sandwiches are made fresh daily on a toasted semolina flour baguette with their signature chili mayo. Owned by two chefs who met in college, Ratha Chaupoly worked at Blue Water Grill and Ben Daitz at Tabla before opening the tiny take-out shop. They call themselves a "Fresh Fried Chicken Joint" focusing on using extra-large all-natural birds. Don't miss their pies with crusts made by hand. "Elizabeth Karmel from Hill Country makes some of the best fried chicken around. I love anything she makes – you know if she cooked it, it’s gotta be good." "Hill Country Chicken is on top of my list for fried chicken. The perfect ratio of crispy, salty crust to moist chicken." Located in the Dover Street Market, this is the NY outpost of the same restaurant in Paris and London. This gourmet superstore is filled with imported artisanal Italian foods and wine. Stop for a coffee at their espresso bar, or a icy sweet at the gelatateria. They also have several restaurants, a cooking school and a rooftop brewery and restaurant. "When I’m in New York, I’m at Eataly a lot. It’s filled with great places to eat and they have awesome hard-to-find products, coffee, chocolate, breads, etc." "A great market, especially to take visitors." "Eataly is a monument to Joe and Lidia Bastianich and the rolly-polly red haired Mario Batali. It is of unequalled wonderment; I can’t imagine anyone doing a better job of seafood, pasta, breads, olive oil, coffee, and the like." Around the corner from the NoMad Hotel is this lounge with cocktails created by award-winning bar director Leo Robitschek. The bar features a 24-foot-long mahogany bar and is a pub-inspired, relaxed version of the bar at the NoMad Hotel. "The bar staff is just top notch. Their expertise, finesse, and precision is mind-blowing. I really respect what they do. You know you are going to get a well-crafted, delicious drink. I would almost rather sit at a table up in the balcony area just to watch them work from above." Named for the birthplace of bourbon in Kentucky, this is a whiskey bar and restaurant. Pair your cocktail with chilled seafoods like oysters on the half shell and charcoal smoked mackerel carpaccio. "I come here to taste the different bourbons. I found it one night when I saw a sign for bourbon, I stuck my head in and saw their great selection, with four of mine dead center." "Have a glass of whiskey and order things like wood-fired oysters, brisket and chicken dinners." Where a beer bar meets a butcher shop. By day, it's a cafe and retail shop. At night, it's a charcuterie and small plates stop. "I recommend you come here for the beer. They have an amazing beer list." Chef Hooni Kim, the owner of Danji, brings a modern twist to Korean cooking. This restaurant is inspired by the joomak - old Korean taverns that offered food for the weary traveler. "Chef Hooni Kim really brought the modern-esque Korean tapas style dishes to a new level which definitely helped with the Korean food movement in New York." Located in the Martha Washington hotel, this is Italian restaurant is from Danny Meyer's Union Square Hospitality Group. Chef Nick Anderer is inspired by the Roman tradition of thin-crusted pizza. He is also cooking seasonal specials over open embers ('alle brace'). The wine list is an excellent selection of Italian-focused wines. Specializing in kebabs with the signature dish being Gilauti Kebab, which is made with a mixture said to have 160 different spices in it. They also have classic dishes and vegetarian options. "I love to come here for their Indian food. This is a fine dining restaurant and best for the Galouti kebab." The front area is a restaurant with food by chef Daniel Humm (Eleven Madison Park). He describes his places as, "neither a rustic restaurant, nor is it a fine dining one. Instead, it takes elements from both of these." The back area is a bar with cocktails from award-winning barman Leo Robitschek. "I really like what they are doing with cocktails here. Leo Roubicek is doing a great job. They are really passionate about their low-alcohol drinks and they have a great Champagne list." "his is the bar I go to the most. It is beautiful and fun. Everything is beautiful to look at and sit on and you can get lost in here." "I love the Library room. The cocktails are executed perfectly and pair wonderfully with their food. You sit in a relaxing, beautiful setting. It’s a room that makes you feel special. They are really detail oriented, even in the aesthetic. The whole experience is taken care of." "They broke the paradigm of the hotel bar. You can get a delicious beautiful classic drink with a modern touch." A handcrafted, concentrated elixir developed by FED Pro bartender Tom Richter of Dear Irving. You can buy it at Cocktail Kingdom for your home bar. Liz Gutman and Jen King make handmade candies that can be found in the mini-bar at the NoMad Hotel. You can visit them at their store in Chelsea Market. 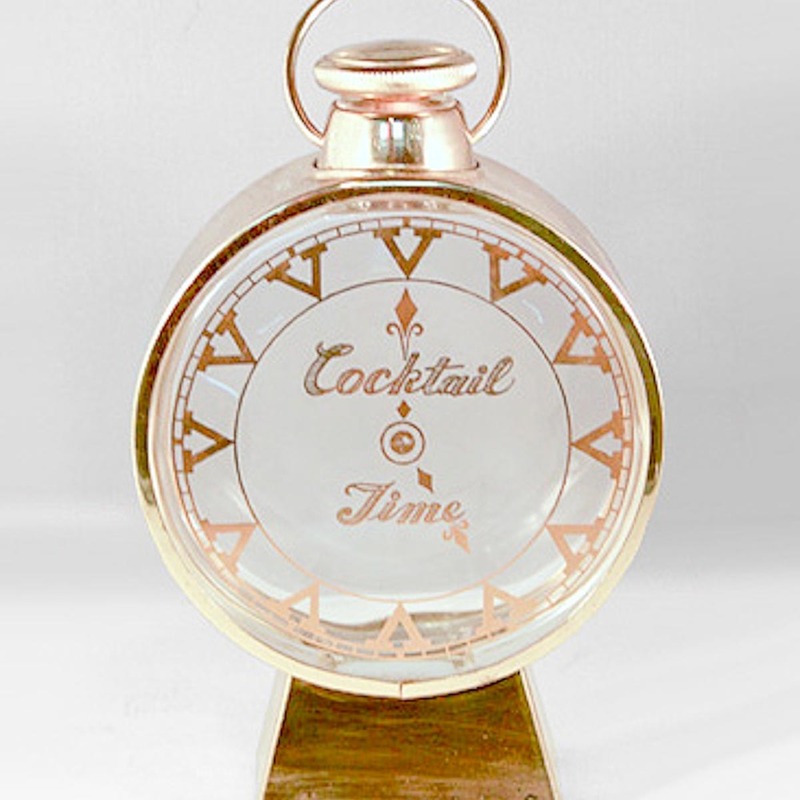 Bartender Theo Lieberman recommends this vintage shop where you can find souvenirs of yesteryear including highball glasses from the stock exchange and great finds from the famed Stork Club. Nick Anderer -- executive chef and co-owner at Marta in New York. 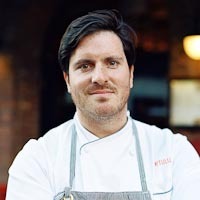 Seamus Mullen -- executive chef and owner of Tertulia, El Colmado Bar de Tapas in New York. Carlo Mirarchi -- executive chef at Roberta's, Blanca in Brooklyn. Marc Murphy -- executive chef and co-owner of LandMarc, Ditch Plains in New York. Jonathan Wu -- executive chef and co-owner at Fung Tu in New York. 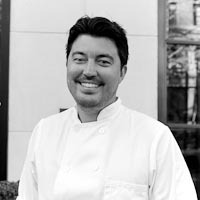 John Wells -- chef and co-owner at Fung Tu in New York. Carlo Mirarchi -- executive chef and co-owner at Roberta's and Blanca in Brooklyn. Ken Oringer -- executive chef and co-owner of Toro in New York. Angelo Romano -- executive chef and owner of Rocky Slims in New York. Michael White -- executive chef and partner of The Altamarea Group. Jonathan Waxman -- executive chef and owner of Barbuto, Jams in New York. Floyd Cardoz -- executive chef of The Bombay Canteen in New York. Esther Choi -- executive chef and owner at mokbar in New York. Missy Robbins -- executive chef and owner of Lilia in Brooklyn. Christina Tossi -- pastry chef of Momofuku Milk Bar. Renato Poliafito -- co-owner of Baked in New York and Brooklyn. 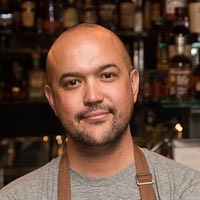 Matt Jennings -- executive chef and co-owner of Townsman in Boston. Marc Vetri -- executive chef and co-owner of the Vetri Group in Philadelphia. Jack McGarry --bartender and co-owner of Dead Rabbit in New York. Naren Young -- bartender at Dante New York. Theo Lieberman -- head bartender at Eleven Madison Park in New York. Tom Richter -- bartender at Dear Irving in New York. 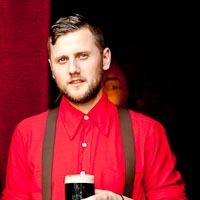 Eamon Rockey -- bartender, beverage director and co-owner of Betony in New York. Michael Shain -- bartender and general manager at Porchlight in New York. Hemant Pathak -- head bartender at Patiala Room at Junoon New York. Simone Caporale -- former head bartender at Artesian Bar in London. Tony Conigliaro -- bartender and owner of 69 Colebrooke Row, Zetter Townhouse, Grain Store in London. Erick Castro -- head bartender and owner of Polite Provisions in San Diego. John Moore -- Q Grader for Dallis Bros Coffee in New York. Trey Zoeller -- distiller of Jefferson's Bourbon in Kentucky.